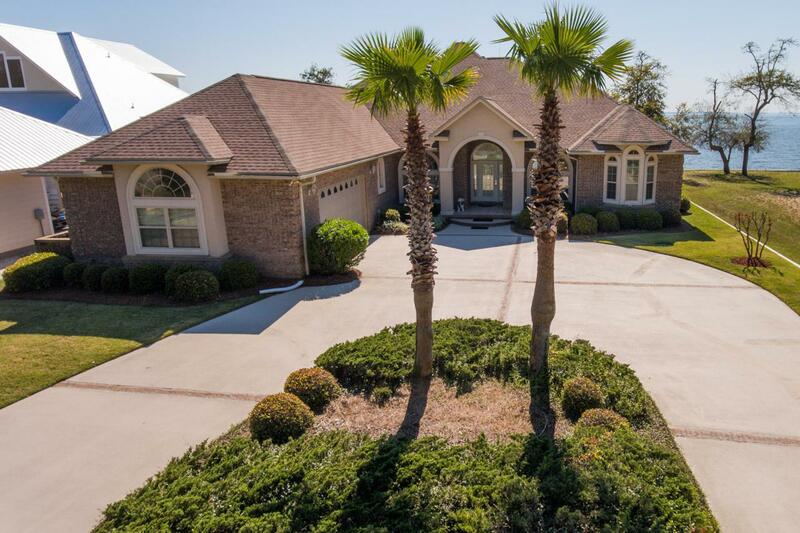 You really must see this immaculately maintained 3,556 square ft home on the Choctawhatchee Bay with 4 bedrooms, 4.5 baths, custom cherry cabinets throughout. The 80 ft. of bay front is perfect for fishing, paddle boarding or kayaking. The huge master suite features a gas fireplace, 2 walk-in closets, and sitting area. Two bedrooms have en-suite bathrooms, and the 2nd floor suite (mother-in-law or executive office) has a large enclosed balcony and wet bar. The 65x22 enclosed pool area, hot tub, and patio guarantee year-round fun. Come see this gem today! Listing courtesy of Resortquest Real Estate Topsl.